American Hustle is like watching a group of distinguished hard boiled card players play poker when you’re only learning the ropes. None of them will break their deadpan expression or expose their hand. Suddenly, someone will make a game changing move and raise the stakes. Someone to your left leans over and – with pure exuberance – tells you how important the move was. Meanwhile, you nod with acknowledgment and when they’re not looking, you check the time. I think American Hustle looks great. Director David O. Russell has done a standout job providing the essential period detail to late 70’s/early 80’s America. The film sounds wonderful, providing plenty of great tracks from the era and using them to add to a scene instead of milking them for novelty sake. These characters are by no means distinguished. They’re crooked, sly, and slick with their work. Each performer does an awesome job at building perpetual charisma with the equipped ensemble. An overweight Bale, playing a top-of-the-game con man, grabs us with his corny combover and his anxiety ridden personality; suggesting Irving Rosenfeld is always sweaty and on his toes. He not only physically embodies Rosenfeld, but emotionally as well. Rosenfeld’s relationship with Amy Adams’ Sydney Prosser is unstoppably watchable. The two click incredibly and ignite the screen with their warped admiration for each other. Russell has a knack for excelling with these sort of oddball romances. He proved this with Silver Linings Playbook, and it’s no different with American Hustle. Jennifer Lawrence and Bradley Cooper reunite and play their roles just as well as Bale and Adams. 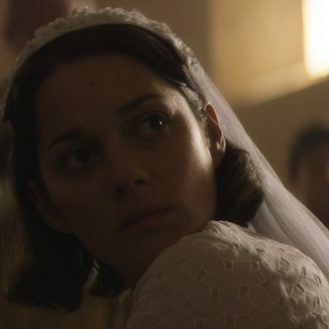 It’s debatable whether or not Lawrence could’ve gotten away with more screen time, but the amount she’s been dealt is handled with every bit of hutzpah the actress seems to be getting better and better with as her career shoots onward. Cooper, an adamant FBI agent, is super too as he treats the audience to a twitchy performance that takes him from different statures in a blink of an eye. I wish I had liked the actual movie in which all these great ingredients are mixed up into. Russell and Eric Warren Singer’s convoluted screenplay is overzealous and piles on too many cons, blackmails, and double crosses. The comedy is supposed to stem out of these dishonest situations as people have to constantly adjust and act on their defensiveness. Personally, I felt the whole ordeal kept getting more unlikeable as these colourful characters fell deeper into their own plots. The only somewhat sensible character is the “mark” involved with the film’s central scheme, Mayor Carmine Polito (played by Jeremy Renner). But, no movie goer is going to want to settle with the putz who is targeted throughout the movie. We want to know more about the unusual folks. Unfortunately, their loudness can dance close to being overbearing during all their exclaimed explanations and motions Russell has them going through. 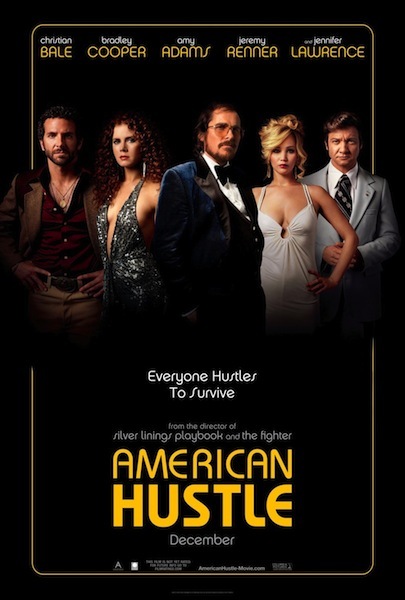 American Hustle has been picking up all sorts of awards for its technical achievements and for its addictive performances – those areas all deserve the accolades. But, convincing one to claim David O. Russell’s crime movie as a flawless feat is the ultimate con.